Governments in BC, Alberta and elsewhere have shown they want to use government schools to teach children that their gender is something they can choose. But gender isn’t a choice, and to teach impressionable children otherwise is to mislead them. Still, despite many parental objections, governments continue to move forward with these plans. It’s important we understand, then, that this isn’t the first time a government has tried to override parental rights in education. Politicians and bureaucrats in various jurisdictions seem to be regularly devising new ways to thwart the freedom of parents to direct the education of their children. These government have the backing of intellectuals who produce academic materials arguing that parental rights in education need to be severely curtailed or even abolished. These intellectuals aim to persuade lawyers and judges that parental rights are unnecessary and no longer need to be recognized in law. Thankfully, not all intellectuals think that way. 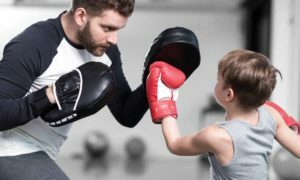 In recent years, a law professor named Stephen Gilles at Quinnipiac University in Connecticut has written a number of scholarly articles defending parental rights in education over against statist arguments. “Statist” here refers to the belief in the supremacy of the government – the State – over individual and family freedom. One of Professor Gilles’ most famous scholarly articles is entitled “Hey, Christians, Leave Your Kids Alone!” which was published in the Spring 1999 issue of Constitutional Commentary, an American law journal. In it he took on the Statist arguments of another law professor, James Dwyer, that Dwyer proposed in his Religious Schools v. Children’s Rights. What Dwyer argued was that religious education is harmful and damaging to children and therefore the government needs to protect children from the harm their parents will impose on them through a religious education. In short, Dwyer sees parental rights as an obstacle that must be eliminated to ensure the wellbeing of children. This differs only in degree, but not in kind, with what provincial governments have sought to do via their school systems. In BC the school curriculum was rewritten to promote homosexuality and parents were limited as to whether they could opt their children out of these classes. In Alberta and Manitoba the government wants to use the schools to promote transgenderism, over against our objections. And in Quebec the government wants schools to teach the equal validity of many religions, which is the very opposite of what we as parents want to teach our children. Our secular governments thinks they knows best. But if our governments think like Dwyer, we have a friend in Professor Gilles. He completely rejects Dwyer’s statist perspective and demonstrates that following Dwyer’s proposals would, in fact, be positively harmful to children. Why? Because parents have a much better grasp of what their children need than government officials, so transferring decision-making power to those government officials would undermine the children’s well-being. …many law professors see religious traditionalists – especially Christian Fundamentalists – as extremists whose beliefs and practices are irrational, without value, and positively dangerous to themselves and others. 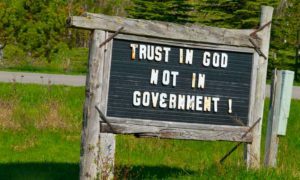 The dispositions these opinions induce are not limited to preventing religious traditionalists from gaining government power; they also include using government power to counter and undermine religious traditionalism as a movement. the state may not override a parental decision unless it overcomes the presumption and demonstrates that the parents’ choice is in fact harmful to the child. If parents starve or brutalize their child, or prevent the child from acquiring foundational skills such as reading, writing, and calculating, there is consensus that they are doing harm, and state intervention is entirely appropriate. From time to time there are instances where the government may legitimately need to take action to protect children. While God calls on parents to care for their children, He also gives the State the power to administer justice, so when parents neglect their children the State does have the jurisdiction to step in. Most people would agree that children who are being starved, or tortured, or deliberately prevented from acquiring literacy and numeracy skills by their parents would need help. However, outside of these extremely rare occurrences families should be left alone by the government. The relevant question is not whether robust parental rights are perfect when measured by the yardstick of children’s best interests, but whether they are superior to alternative regimes that give the state more control over children’s upbringing. To this question, the longstanding answer of our legal tradition has been that state authority over childrearing is more to be feared than comparable authority in the hands of parents. Parents make mistakes…but they are far better than a “government as parent” alternative. Of course, that’s the very point that Dwyer, and others of his ilk, will dispute. He argues that the government is much better suited to determine what is best for children. Therefore the government, rather than parents, should have ultimate control over education. So what answer does Gilles give? The flaw in this approach is its blithe assumption that state agencies, and above all courts, will expertly and disinterestedly pursue the best interests of children. 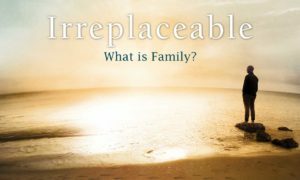 A moment’s reflection will show that courts are neither as well-placed as parents to discern the child’s best interests nor as interested in ensuring that the child’s welfare is in fact advanced. Unlike parents, judges will never have the time or the day-to-day contact necessary to acquire an intimate understanding of the procession of children who would come before them. Nor will they have to live with the many-faceted ramifications of their childrearing decisions. God has crafted a wonderful way to raise children that the government simply won’t be able to improve on. 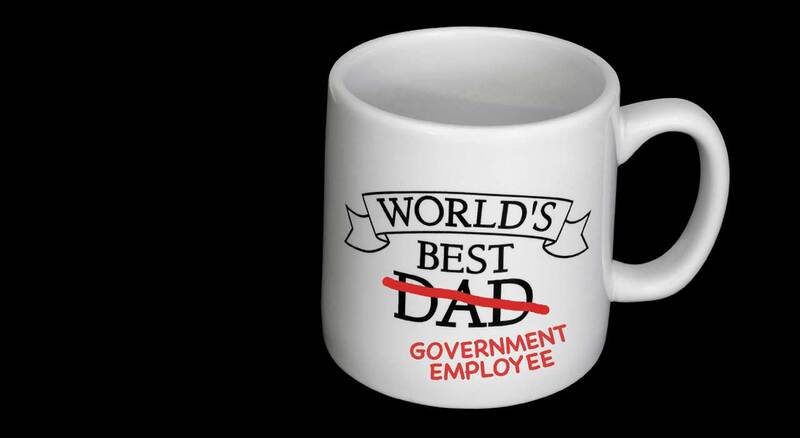 Parents have much more at stake in the well-being of their children than any employee of the government. Parents know their children much better and will have to endure the consequences of any bad decisions they make. In other words, the incentive for parents to watch out for the best interests of their children is infinitely higher than any social worker, teacher, or judge. That’s why it is absurd to suggest that these public employees are better at determining the best interests of the children. I find it naive to describe the run of state employees in such idealistic terms, let alone to believe that they will more often be better judges of a child’s best interests than that child’s parents. State agency personnel may spend years thinking about what is best for children – but parents spend decades doing what they think is best for their own children, and living with the consequences. Parents are far more likely to get it right, even if they have fewer course-credits in child development or education theory. Thus, the question is not whether our childrearing regime will entail other-determining governance of children by adults; it is which adults will enjoy the freedom to engage in this other-determining behavior. Historically, Anglo-American nations have recognized parental rights, with the only limits on these rights involving the rare instances where parents harm the children. As Christians we need to highlight the sheer arbitrariness of Dwyer’s definition of harm. We need to highlight that he is simply defining as harmful that with which he disagrees. If the government can forbid parents and teachers to communicate any message it decides (based on value-laden and highly debatable criteria) is “harmful to children,” then the government can control the transmission of ideas to future generations. Prof. Gilles has shown us what to watch out for, and how to present well-reasoned argumentation for defending parental rights in education. Since parents have such powerful incentives to promote their children’s best interests, it is clear that they should have virtually unhindered authority over their children. Government employees and institutions never have as much at stake in the well-being of children as the children’s parents. A tiny number of parents occasionally abusing their authority do not undermine this fact. To think that government employees will make better decisions about children than parents is naïve at best. And to use an anti-Christian ideological concept of harm to determine what children should be taught, clearly leads to a totalitarian government. Parentalism, as Prof. Gilles calls it, is much more reasonable and consistent with freedom than the statist perspective of the left-wing intellectuals.